Keeping abreast with the ever-changing regulations, current & emerging payment models, digitalized healthcare technologies, and much more can weigh down on cardiology department. If you are amidst these challenges, we understand your struggle to stay on top of account receivables (AR) while focusing on healthcare delivery. Which is why you should outsource cardiology medical billing to a dedicated billing company like ours. Outsource2india is a seasoned cardiology medical billing company specialized in diverse cardiology billing functions. Whether it inaccurate billing or varying compliances, we don't let these concerns impact your collections. We have a team of certified billing specialists experienced in subsets of cardiology practice and coding systems such as CPT, HCPCS, and ICD-9CPM. What does Cardiology Medical Billing Services Cover? What are the Cardiology Medical Billing Services Offered by Outsource2india? Our services are synonymous to flexible engagement and reliability because we take maximum efforts to cap your spending and improve collections. 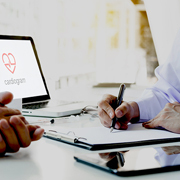 When you avail our specialized cardiology billing services, much of our effort goes into error-free billing based on actual cardiology procedures and diagnosis, on time follow-up with payers, credentialing and much more. Our cardiology experts perform billing with care and precision. We leverage our knowledge of latest modifications in cardiology Medicaid and Medicare services to create invoices that are error-free and HIPAA compliant. When claims return from payers, it can be a daunting task to redo the filing after rectifying errors. So, we proactively check and eliminate errors in billing codes to ensure a clean claims submission. We also thoroughly check if you have missed entering data in the relevant field. We follow-up with non-paying or late-paying clients and professionally urge them to pay all dues on time to avoid attracting penalties. This is to ensure that your revenue cycle management stays healthy. We dispatch frequent reminders to prevent uncollected bills from becoming a financial burden. Dealing with extensive paperwork to affiliate with govt or private insurers can be a hassle. So, we take over the responsibility of medical credentialing which allows you to accept third-party reimbursement without unnecessarily deviating from your practice. Unauthorized procedures can result in claims denial. We can help you with authorization for carrying out certain procedures so that you are uninterrupted from providing critical care to patients. Claims become invalid when policies are modified or terminated abruptly. Hence, we carry out patient eligibility verification to ensure that all claims get successfully reimbursed. We obtain schedules, check coverage, include missing patient information if required, and update patient demographic. What is the Process Followed for Cardiology Medical Billing? When you elect our services, we ensure all paperwork necessary for the service execution which includes business associate agreement. Why Choose O2I's Cardiology Medical Billing Services? Read our case study to know how O2I provided full service billing using the Medisoft software, for an internal medicine practice in Florida. Our solution helped lower the AR days from 141 to 40 days. The client also saw an increase in collection from 60.6% to 75.5%. Read the case study. Case Study on how we helped a full-service billing customer complete their billing within 2 hours, reduce collections and deal with inconsistent cash flow. Our solution brought down AR days from 34 to 23 days in short TAT and bolstered collections from 53% to 61%. Read the case study. Outsource2india is a medical billing & coding services provider offering customized billing solutions to many cardiology practitioners, hospitals, clinics, etc. across the world for over 20 years. We are an ISO certified provider of cardiology medical billing services in India and have made a mark in the healthcare industry worldwide. We not only deliver accurate billing services, but we also do it in a short TAT. So, if you are looking for cost-effective services, your search ends with us. Our certified coders and billers have decades worth of cumulative experience in revenue cycle management that helps us provide services and reliable support even after project delivery.